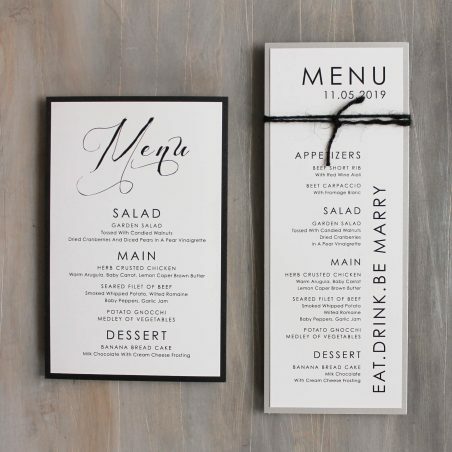 Eat, drink and be married! 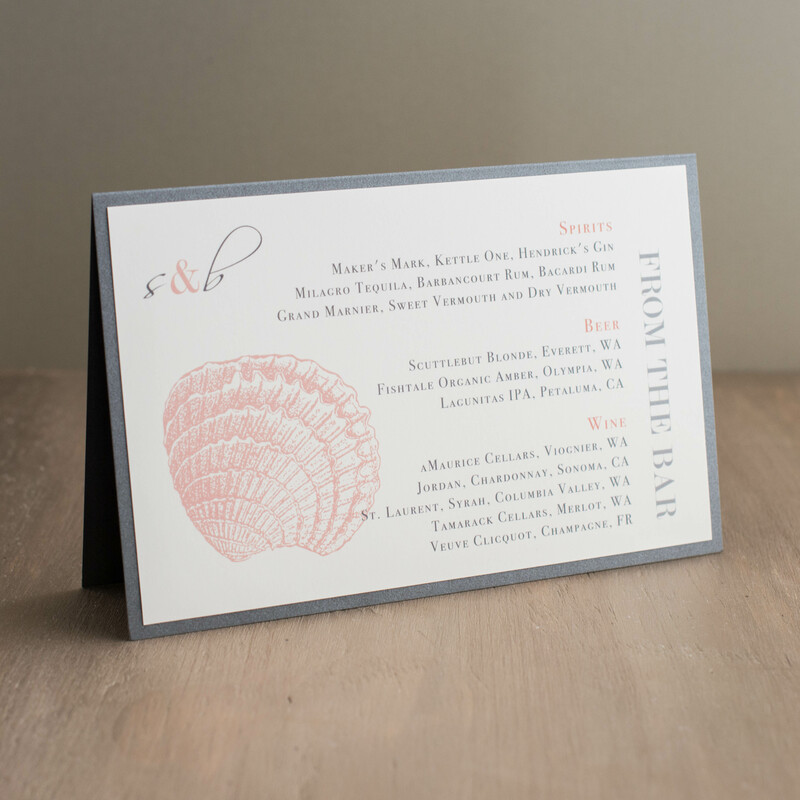 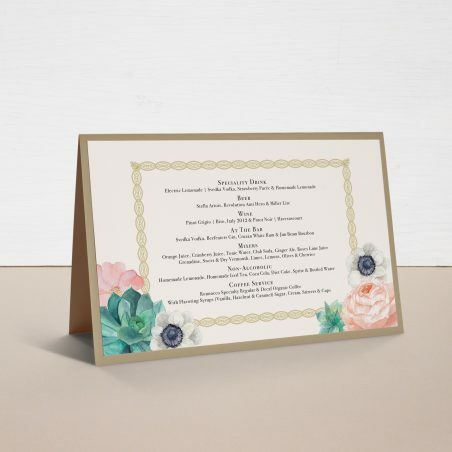 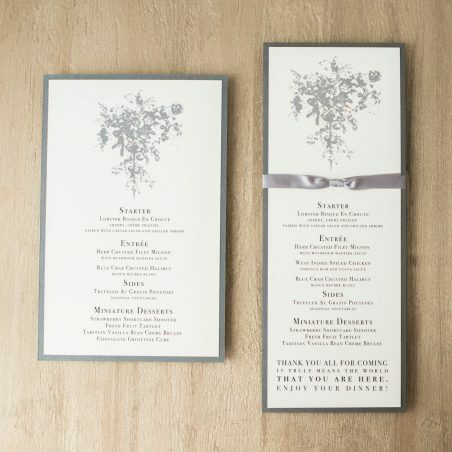 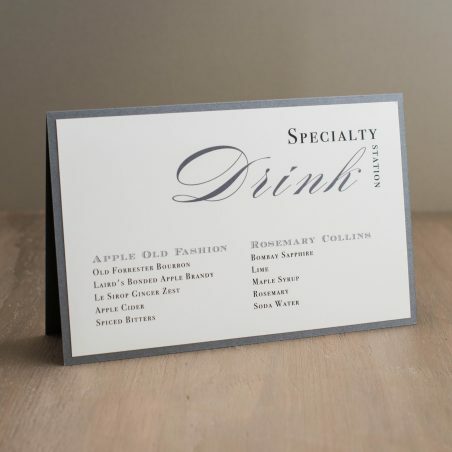 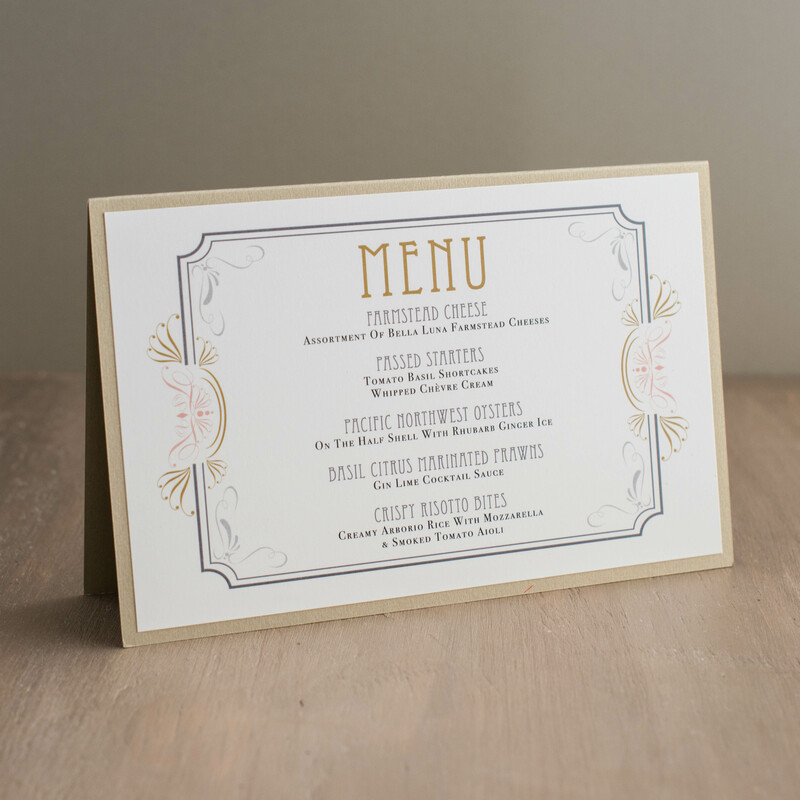 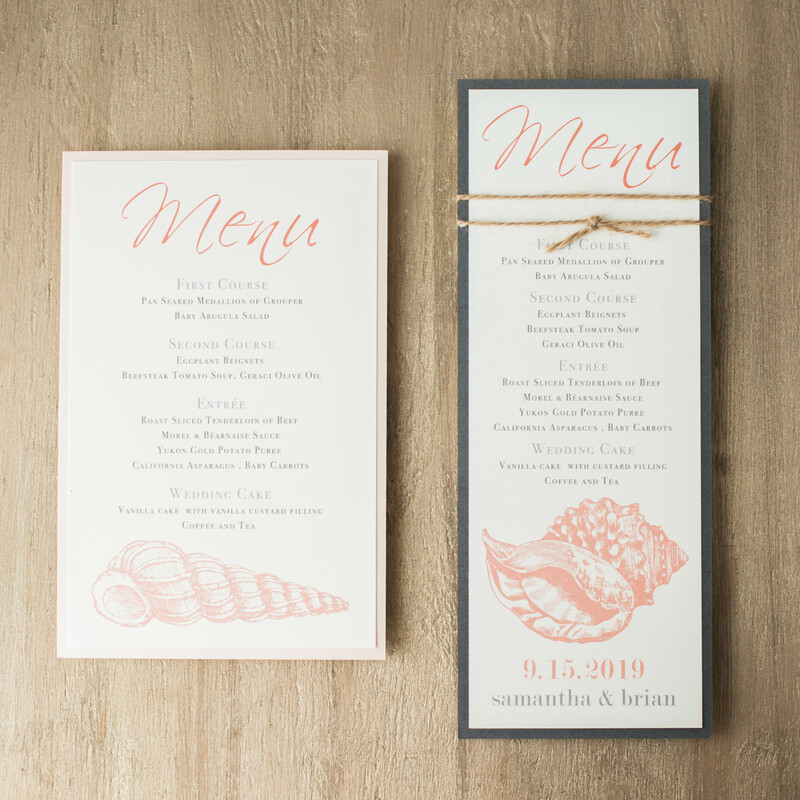 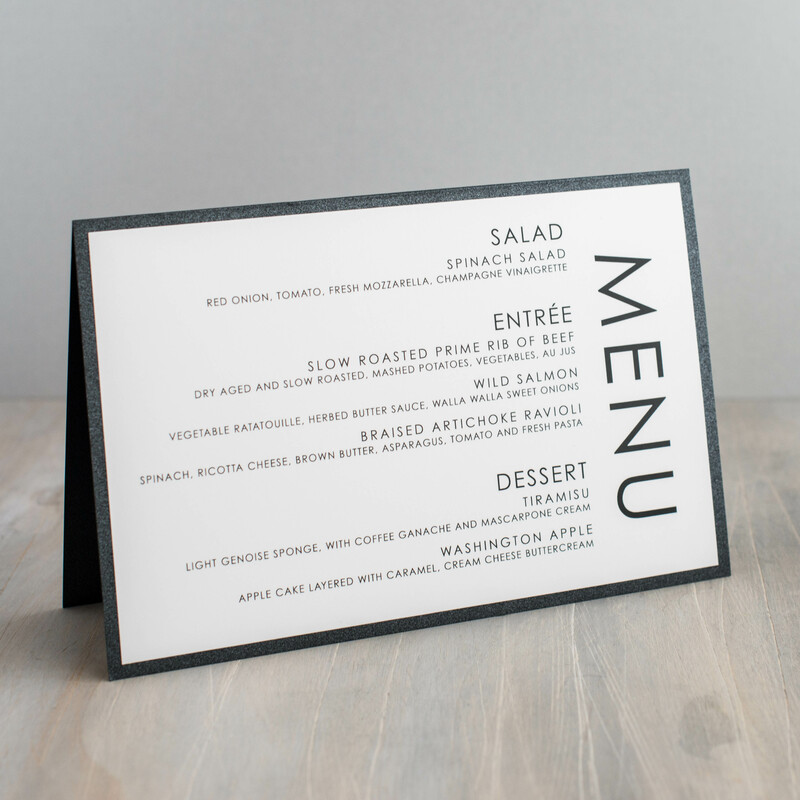 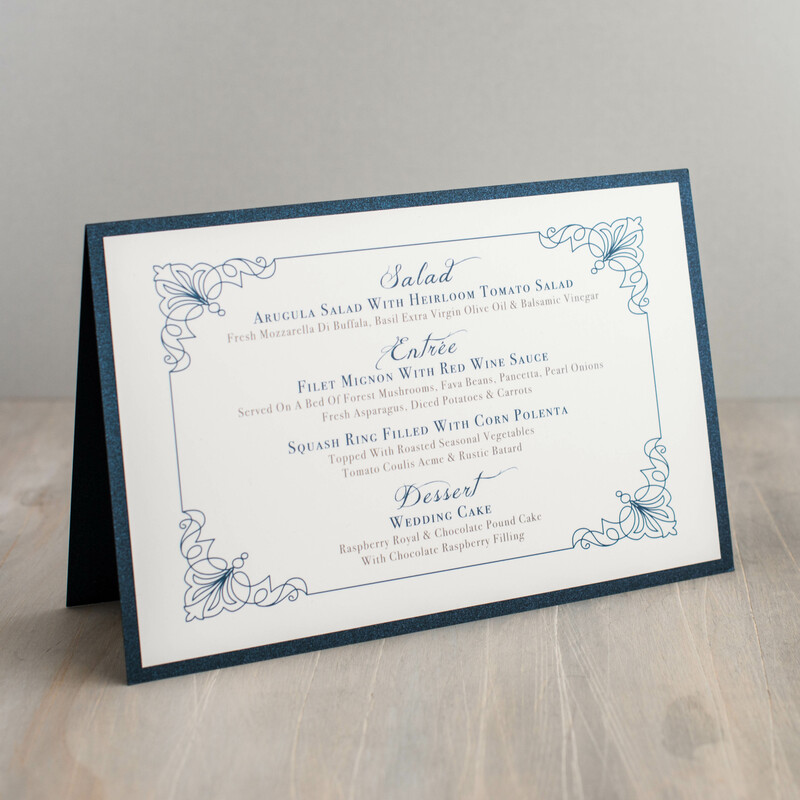 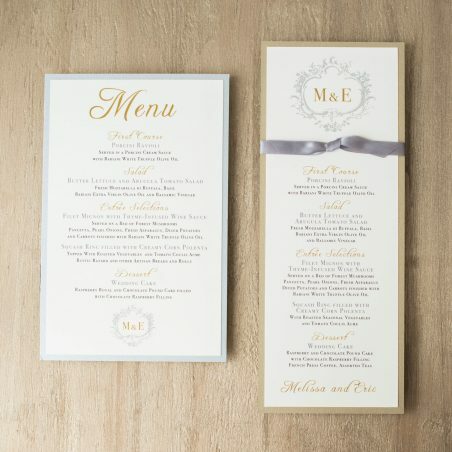 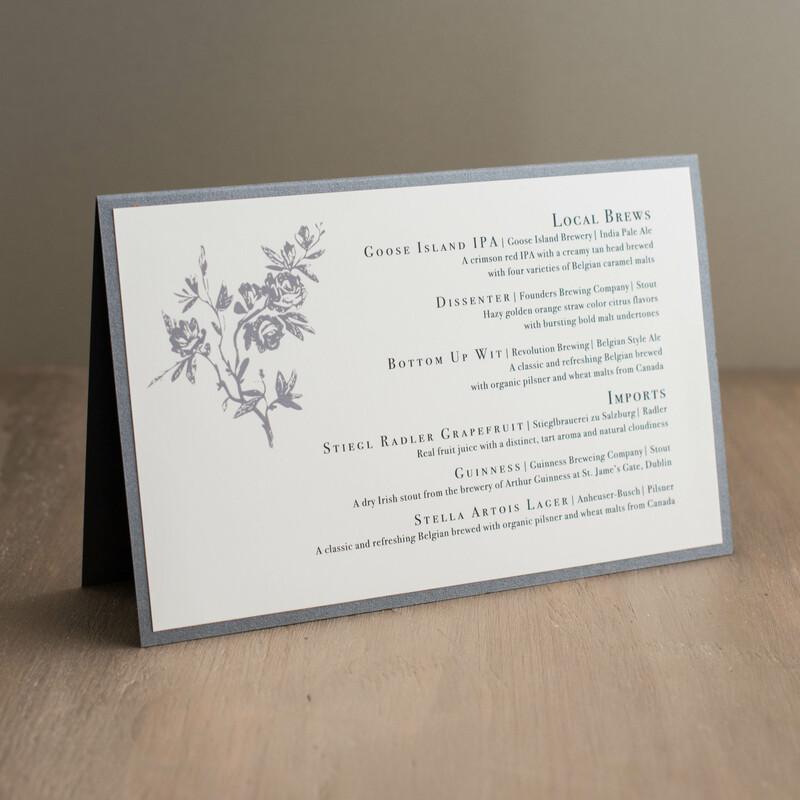 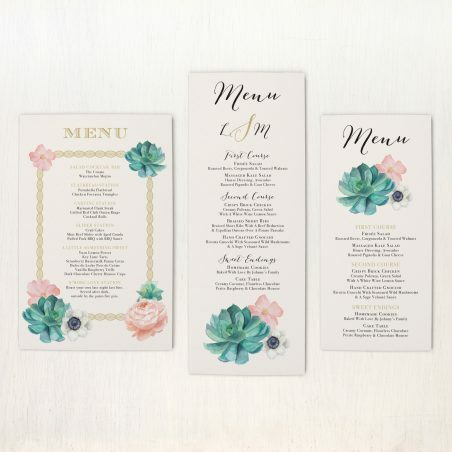 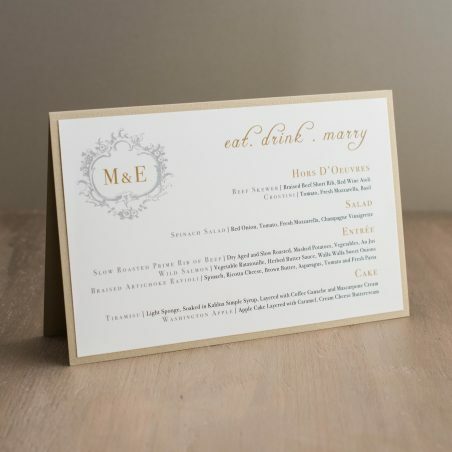 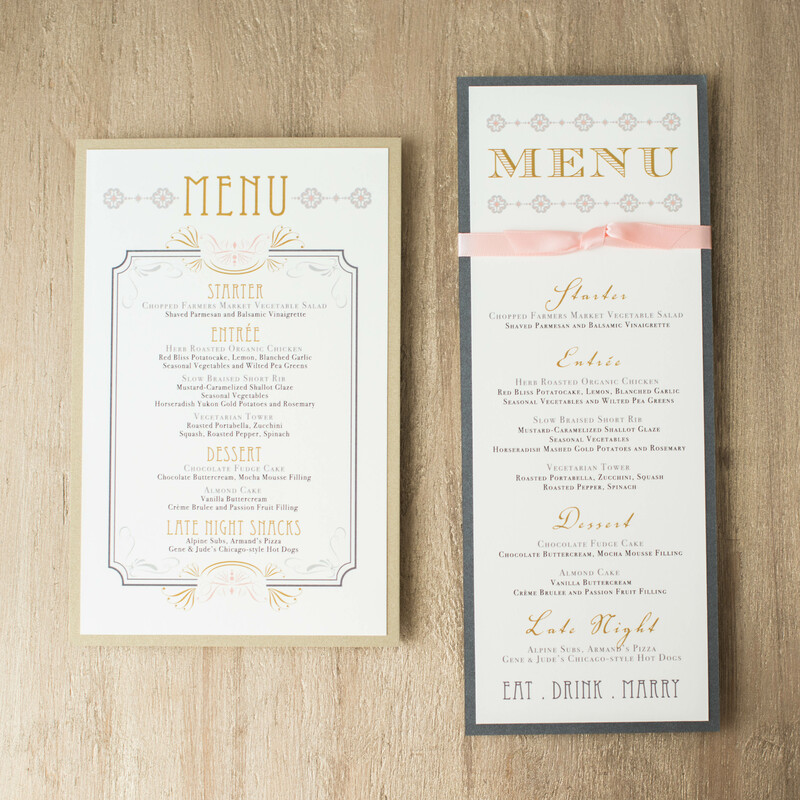 Our flat wedding menus are the perfect way to let your guests know what’s for dinner. 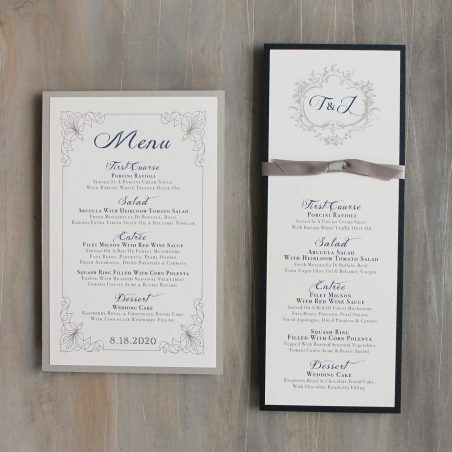 Place one at each place setting to add a touch of elegance to your reception. 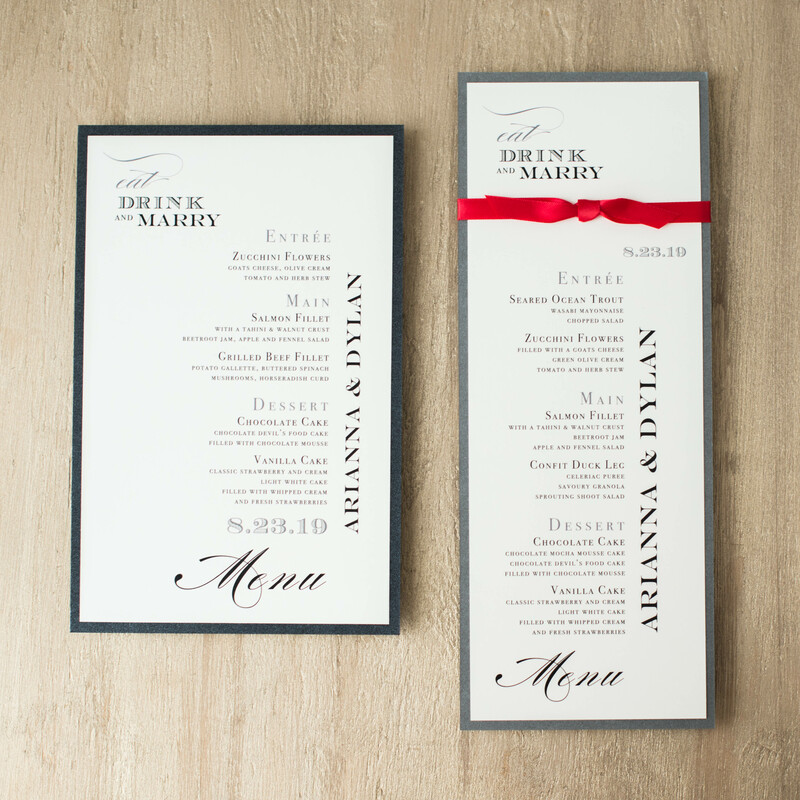 Available in 3 different sizes and customizable to fit the theme of your day!